Sometimes you just want to eat breakfast with your hands, am I right? There's an easy way to make yourself a breakfast muffin in the time it takes to fry your breakfast egg. I use a microwavable cereal bowl with straight edges to make my muffin in. A 6″ dessert ramekin works great, too, because the straight sides help the muffin puff up, so you can cut it in half. This recipe multiplies nicely for making up a big batch of muffins ahead of time. Just allow them to come to room temperature before freezing. Then you just pop it in the toaster during your busy morning. 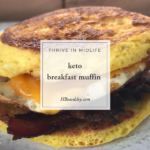 I make my bacon egg & cheese breakfast sandwich with this muffin recipe. 1/2 tsp + additional melted butter for greasing your bowl/ramekin. Mix together the remaining ingredients in a separate bowl with a fork until combined. The batter will be thick. Pour muffin batter into greased bowl/ramekins, spreading it evenly. Place bowl in the microwave, and cook, uncovered for 1 minute & 40 seconds, or until cooked through and puffed and the muffin has pulled away from the sides of the bowl. Remove from microwave and release the muffin with a spatula. Using a serrated knife, cut the muffin in half lengthwise. 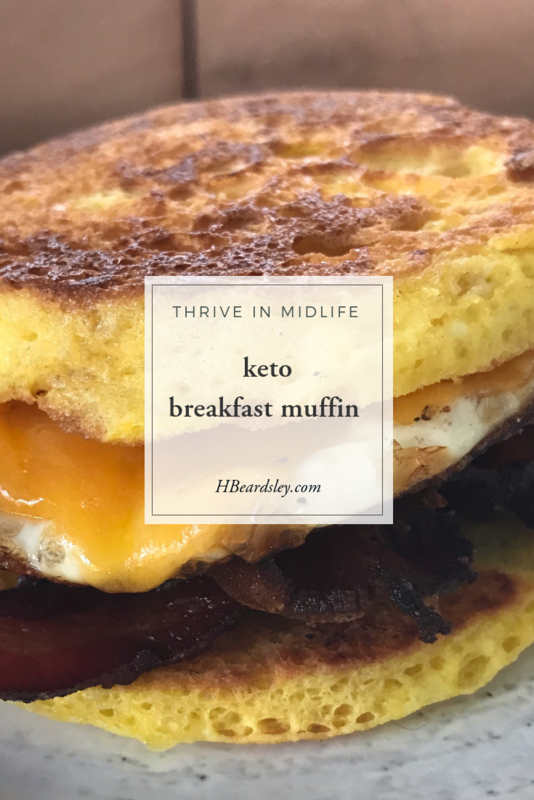 Optional: If you prefer your muffin pan toasted, heat a skillet over medium heat. Brush muffin halves with butter and pan fry for a minute, or until edges are nicely browned, or pop into the toaster to brown.